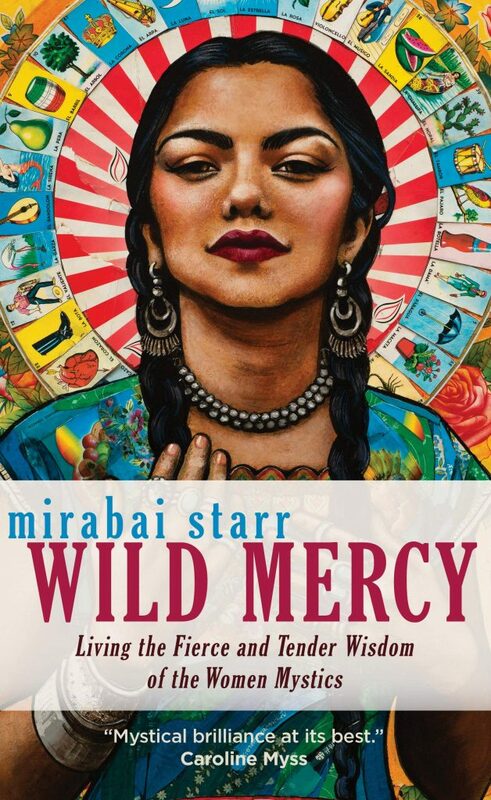 There isn’t a lot to be said about Mirabai Starr’s new book Wild Mercy that hasn’t already been covered by leading literary and spiritual voices like Anne Lamott, Sharon Salzberg, Ram Dass. Passionately feminine. Fiery and tender. Comforting and fierce. A celebration of wisdom. Across twelve chapters, dozens of female mystics, and countless tales of the power of the divine feminine, Wild Mercy is a joyful work of wisdom and love — the confluence of a life’s work in spiritual study and practice, and a celebration of the community of women who hold it all together. It is this element of community that makes this book a special treasure for those of us lucky enough to live here, in the author’s home town. Alongside enrapturing accounts of the lives of mystics and teachers from across religions, time, and the world, you’ll find equally breathless devotion saved for the contemporary women who make up the fabric of Mirabai’s world. 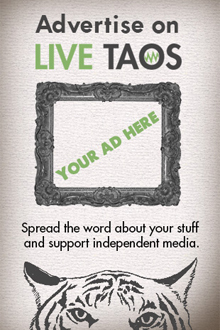 The phrase “my friend” is among the most commonly-used in the book, introducing the broad cast of teachers, spiritual leaders, and indeed for many of us in Taos, friends, who embody the wild mercy of the feminine in her life. If you live in northern New Mexico, Wild Mercy feels like having tea with the graceful, powerful, fierce beings and locales that form this remarkable place where we live. We visit with Ondrea Levine, Roshi Joan Halifax, Kate Nilssen, Lyla June Johnston, sharing stories and losses and work; we sit by the banks of the Hondo, and seek ourselves at the Lama Foundation. In this way, the book brings us home to the irresistible wealth found in community, in those who keep us together when all has fallen apart, in those who help us shine into the grief within. Even the most distant goddesses and teachers begin to move into this space; to join us around the table in celebration, connection, creation. Not to say that you can’t enjoy this book if you don’t live here — anyone with any sort of community will find plenty to recognize — but I suspect the journey is extra sweet for those who do. 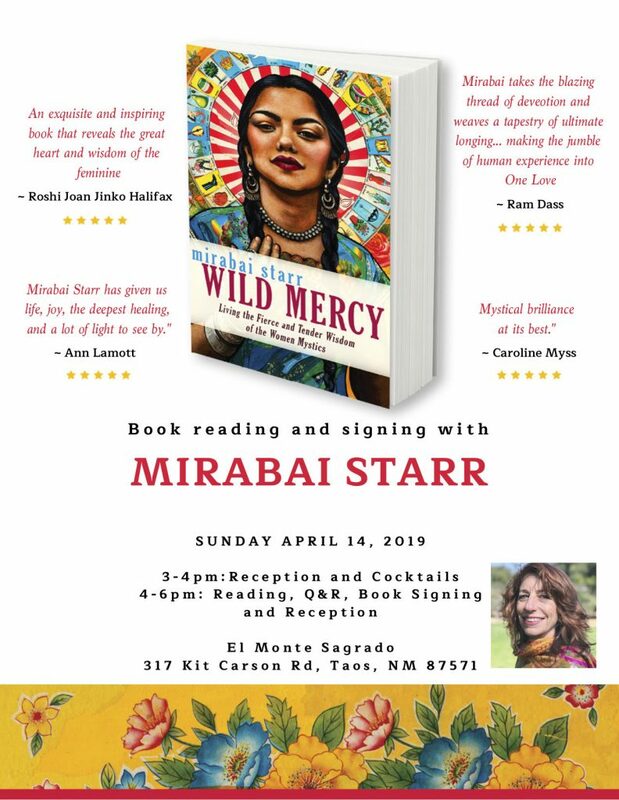 Come together with the author and our community for the official Taos launch of Wild Mercy, with a book reading and signing on Sunday April 14 at El Monte Sagrado.